Headquartered in Mumbai this pan- integrated GSM operator offers 2G, 3G and 4G network to its customers. Successful in having more than 191 million subscribers it has recently merged with Vodafone India. Aims at offering better postpaid and prepaid plans this telecom network has earned 3rd place among network operators. Licensed to operate in 11 circles this network offers exclusive data plans and alluring prepaid and postpaid plans in entire India. 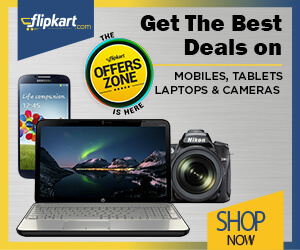 Various deals and offers on Ideas recharge helps it customers to grab better deals. In 2016 Idea was successful in executing 4G network roll-out in the company, its’s partnership with several ecommerce merchants gives various benefits to its customers. Its voice and data services, broadband services and other plans like Idea Select Titanium, Idea Select Platinum, Idea Select Gold, and Idea Select Silver had brought great changes in its market value and managed to earn better market position. Download Idea Movie Club & enjoy movies offline. Also get 512 MB data for 5 days. Enjoy 30 days trial period for 3G/4G subscribers. Grab the deal before it ends. Recharge now and get flat Rs.15 cashback on prepaid recharge when you pay through Paytm wallet. Minimum recharge of Rs.100 is required to avail this offer. Limited period offer. Offer is also available on the app. Buy any 4G smartphone and get Rs.2000 cashback. To avail this offer recharge with Rs.199 and get 1.4GB/day, unlimited calls, roaming and 100 SMS/day. Please visit the offer page for more details. Recharge with Rs.100 or more and get a chance to win a car, bike, & smartphone. Also get unlimited calls, 1.4GB/Day, and 100SMS/Day local & national. Offer is valid for 28 days. Offer is applicable on the app only. Recharge via My Idea App and get full talk time on Rs.100 or Rs.50. No coupon code is required. Please check out the offer page for more details. Order The All New Huawei Mate 20 Pro and enjoy 20% discount on postpaid rentals. Also, get an additional 370GB on prepaid connection. Please visit the promo page for more details. Enjoy idea's magic cashback offer. Recharge with Rs.398 and get 1gb data per day. Also enjoy unlimited calls, roaming, and SMS. Also get Rs.400 worth Idea discount vouchers, up to Rs.200 cashback on wallets, and Rs.2700 online shopping coupon. Offer is applicable on Idea website and My Idea App. Get 1G 4GB data free on Idea 4G LTE Pre-book and enjoy the offer. Offer can be used only in Idea 4G Network. Offer is valid for 10 days from the date of activation. Offer may vary from circle to circle. Download My Idea app and get exclusive talktime and data offers. Get 0.5GB data free. To avail this offer register on My Idea App. Idea Cellular provides you Jackpot Offer. Get up to 10GB data benefit/month at Rs.100 monthly rental for first 90days. Minimum offer benefit at Rs. 100 is 1GB data/ month. This offer is valid for only once on any number. Apply for Citi Credit Card and get 50% savings on your monthly rental of Nirvana Rs.399 & above for 12 months. Maximum discount of Rs.2400 can be availed. Check out the promo page for more details. Travel at ease to USA, UAE, Singapore & 16 the countries. Explore the world while staying in touch with family, friends & work. Choose our rewarding roaming packs for pocket - friendly calls and mobile internet. Enjoy unlimited data & calls on international roaming. Buy iPhone Xs and get 20% discount on postpaid monthly rental. You may also get 48-delivery and low-cost EMI. Monthly savings are applicable to selected postpaid plans and limited to 1 year. Limited period offer. Recharge online and get 98GB at just Rs.398 for 70 days. Also get unlimited calls and 100 SMS/Day. No coupon code is required. Limited period offer. Now get 20% cashback at Food Inn and save the money. No coupon code and minimum purchase required to avail this offer. Hurry to enjoy the deal. Get more and spend less : Idea recharges are all set to help you save big bucks and get the best of services. A well-known telecom service provider, it is one of the pioneers in the industry from the Aditya Vikram Birla Group of companies. Founded in 1995, the company has a pan-India presence with a huge customer base of almost 200 million through their 2G, 3G and 4G services, spanning more than 400000 towns and villages. The company is not only amongst the top three service providers of the country but also ranks globally at the sixth position, making it one of the most popular telecom networks. Reinforcing the ‘Digital India’ vision, the company is all set to further expand its network in order to provide higher speed services to more than a billion. It has a massive fiber network spread over 1.28 lakh kms. that helps it to operate in 22 different circles catering to different regions of the country. Various online idea recharge offers help you to save a great deal while you enjoy best of services without any compromise! You can look forward to a wide array of services from the brand for all your needs. It does not matter whether you want entertainment, watch a movie, get live scores or simply make a call, with this brand you can do it all. Voice Call - For voice connectivity, you can choose a post-paid or prepaid connection, depending entirely upon your usage and requirement. Check out various offers for recharges like paytm wallet offers for savings on your phone bills. Data connectivity - Data connections are as important as voice connectivity with whichyou can fulfill all your needs. You can shop, pay your bills, recharge your DTH, stream your favorite numbers and do a lot more with efficient data connections from this telecom network. Mobile Internet - Whether you have a 2G, 3G or 4G connection, you can stay in touch with your friends with the brand’s mobile internet services. You can share various plans across multiple connections, check out various plans, get latest plans for IdeaNetsetter, etc. with this unique service. You can also look for idea coupon code paytm for special offers. Value Added Services - You can access various value added services like astrology, Bollywood, cricket, devotional, etc. with a connection from this company. Idea Money Wallet - You can make use of this wonderful e-wallet if you have an Idea connection. This makes it easier for you get not only save money through various offers, but also makes it convenient to pay your bills and shop online without real time cash transactions by simply loading the wallet! Online services are all about saving money apart from convenience. If you have an Idea connection or are planning to get one, you can use onlineidea coupon code for your recharge with great ease. This is how you can use these online coupons. Get your Idea recharge code by searching for online coupons on your favorite coupon site. There are several offers that you can choose from. Pick the one that best suits you irrespective of prepaid or post-paid connection. After you click on the offer you choose, you will be redirected to the company website. You will have to copy and paste the recharge code while you make your final payment at the time of checking out to get the special offer and you are done! The company has a wide range of offers for every user across all their services. Whether it is voice or data connectivity, you can choose from various idea 4goffers through which you can save good deal of money and yet get best of services. Special offers and online coupons help you get more value for what you spend. If you are not too sure about why this brand is one of the market leaders and surviving the stiff competition, here are a few special features that you should know about. Latest 4G technology - With every technological evolution, the company has succeeded in bringing the best to its customers including a wide array of digital services and apps. From a 2G simple telecom service provider, it has transformed into a 4G digital service provider with integrated solutions and is also credited with the fasted 4G roll out in the country in 2016. Mobile Number Portability (MNP) - This brand continues to be a leader in Mobile Number Portability (MNP) with a steadily increasing number of people opting for this seamless migration of services while they change locations to different places across the country. You can also save with postpaid bill payment offers for such connections. Integrated digital services - Apart from simple voice calls, the telecom service provider also brings integrated digital services for its users that include not only broadband services, but also digital payments, enhanced cloud and storage options, access to digital information as well as the Aditya Birla Payments Bank. My Idea App - With the My Idea App, you can manage your connection with utmost ease. You can recharge your number, get customized offers depending upon your usage, get data recharges, pay your bills including postpaid bill payments, activate services and even make changes in your account with this easy to use app. Top grade delivery - The telecom service provider has a huge network across different cities in India that aids in serving its customers in the most effective and beneficial manner. There are 8780 exclusive Idea outlets, call centers, digital app, presence on social media and customer touch points to offer superior experiences to its users. Affordable rates - Local and STD charges are quite affordable with this renowned brand. Roaming charges in case you are traveling are quite economical that do not pinch your pocket. You can enjoy unhindered services and save with offers for idea recharge online. With this brand, you can be assured of the best uninterrupted services no matter which part of the country you are in. A widespread network allows you to enjoy everything even while you are on the move whether you wish to make calls or use your data or even pay your post-paid bills! So, sit back and have all the fun with offers right at your fingertips.